MaxVal Real Estate is a boutique full service brokerage and consulting company that works with individuals, companies and organizations to help them maximize the value of their real estate holdings – all property types located anywhere in the United States. Our number one goal is to become your trusted real estate advisor and we do this by creating value in your property. If you have real estate that you own, want to purchase or desire to sell, we can help. We’ve been able to help our clients save thousands and even millions through our value saving / value maximizing methods. Our services include: due diligence analysis, property tax appeals, acquisitions underwriting, dispositions consulting, value enhancement audits, lease analysis and asset management. Contact us today to see if we can help you maximize the value of your real estate! MaxVal Real Estate is a boutique, full service real estate firm that works with individuals, companies and organizations to maximize the value of their real estate – all major property types located anywhere in the United States. MaxVal Real Estate was founded upon the belief that great service and representation should be the standard instead of the exception. Providing value is at the heart of everything we do and is the basis for the name “MaxVal”. Our mission is to help YOU maximize the value of YOUR real estate and to meet YOUR real estate investment objectives! We have a very strong track record and invite you to review a sampling of our results. The founder of MaxVal Real Estate is Joseph L. Austin, a real estate professional with a broad range of experience that includes over a billion dollars of real estate across 29 states, 200+ properties, 5MM+ square feet, hundreds of acres and all major property types. His experience includes 3+ years in corporate acquisitions and due diligence, 5+ years in corporate asset management and dispositions and 5+ years in private brokerage and consulting. 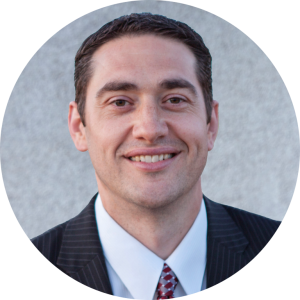 He holds a Bachelors of Science degree in Business Management / Finance from the Marriott School of Management at Brigham Young University. He is a CCIM Designee, a former CPM Candidate member, a licensed real estate broker in two states and a member of the Urban Land Institute (ULI) and the International Council of Shopping Centers (ICSC). While providing asset management and disposition services, stalled imminent foreclosure of a grocery anchored retail center which at the present time had no equity but did have sufficient cash flow. Oversaw the lease-up, negotiated a loan modification, extended the loan term, decreased default interest, penalties and fees by $950,000 and managed the sale of the property two years later for a net proceeds and increase to the seller of over $4,100,000. As a result of the due diligence findings, the buyer was able to negotiate a price reduction of nearly $1,500,000 plus several additional guarantees that gave the buyer thousands more in savings. The owner of a mixed-use development project was paying over $240,000/yr in property taxes. Through a series of property tax appeals, successfully negotiated a reduction in taxes to $55,000/year and obtained over $470,000 in property tax refunds for the owner. Provided a value enhancement audit for a single tenant commercial property and discovered a shortage in collected funds by the owner. Once corrected, the owner received over $70,000 in additional rent. Brokered the sale of development land for $1,000,000 more than the value of the property one year previously and exceeded client expectations by over $200,000 in the sale price. Negotiated between city and school district on behalf of the property owner of a development project to reinstate the plat, receive impact fee credits amounting to $650,000 and negotiated the release of the owner from a $150,000 offsite improvement obligation. Provided due diligence analysis for an office building and discovered that at lease signing one of the tenants prepaid the last month of their lease. While reviewing the closing statement, recognized the prepaid rent wasn’t included in the funds to be transferred to the buyer and there was no post-closing reconciliation provision in the purchase agreement. After pointing this out, the buyer was able to collect the missing funds. Appealed the property tax values on behalf of the owner of an industrial property which lowered the assessed value from $3,000,000 to $2,300,000 (the lowest it had ever been) providing the owner a savings of $12,000/yr in property taxes. Persuaded the property owner to reject the sale of 97 finished residential lots for an amount that at the current time, was an attractive offer. Resolved a material issue to the sewer line, monitored supply and demand and facilitated the sale of the lots a few months later (double digit offers received) resulting in a sale price that exceeded the amount the owner was previously considering by more than 300%. Provided due diligence consulting to the buyer of a Single Tenant Net Lease seller leaseback transaction. They were already under contract and had their own broker representation. Informed the buyer they were overpaying by $900,000 and while they were paying a market cap rate, the guarantor was weak and the lease rate was substantially higher than the market rental rate. 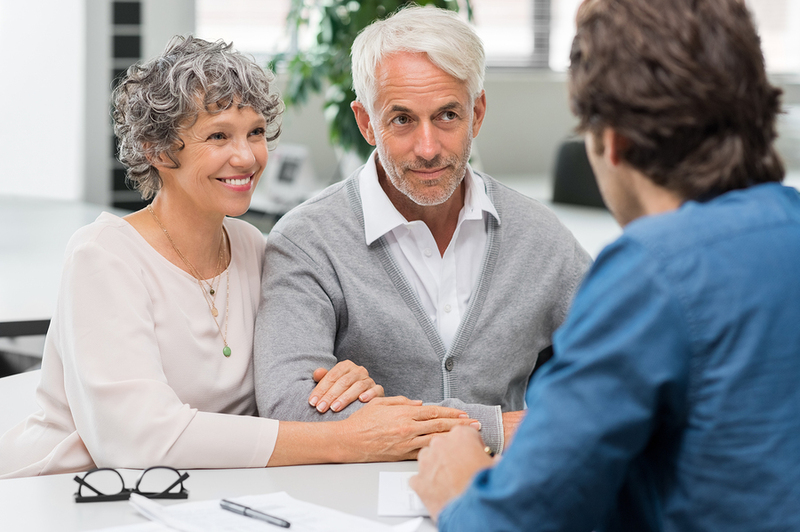 A few days later the client reached out again to say their own broker had provided them an analysis showing that even though they were paying above market for the property they could still meet their required return. After reviewing the broker provided analysis, it was discovered it had been manipulated and was showing certain values being taken into consideration, but they were not. Once corrected, the analysis showed a drastically different picture for the buyer. Helped the owner of a 45 acre residentially zoned property qualify for an agricultural exemption. This reduced the owner’s annual property taxes by $6,800/year. Provided asset management and disposition services for a development project with a complicated closing because of several years of delinquent property taxes and rollback taxes due to expiring tax exemptions. The escrow company received tax certifications showing total property tax amounts being $148,000 higher than the internal calculation provided to seller. Once corrected, the seller’s property tax liability decreased by $148,000. Provided disposition consulting on a bare land property and implemented a new marketing strategy that resulted in the broker selling the property for 25% more per acre than any previous comparable sale. Appealed the subsequent value of a newly developed commercial property and reduced the assessed value by over $1,400,000 and the annual property taxes by over $18,000. Produced an alternatives analysis for the seller of 232 finished residential lots which showed the monetary benefit of a staged takedown approach resulting in a capital accumulation increase from $3,622,767 to $4,254,812 or a savings of over $632,000. Using a buyer prepared criteria list, provided acquisition services that resulted in a retail center which met all required parameters (property type, location, rate of return, etc.) except the strength of the anchor tenant. Negotiated a $500,000 escrow guaranty from the seller to reinforce the anchor tenant. Provided disposition consulting on behalf of the owner of a 125K sq ft manufacturing facility and exceeded client expectations by over $1,000,000. Negotiated with the HOA on behalf of a property owner who held title to 100+ residential lots and 57 adjacent acres. Received approval to remove the adjacent acreage from HOA dues. While providing asset management services, negotiated a $140,000 small scale selective timber harvesting contract (i.e. did not want it to negatively impact the sale value) and used the funds to help offset the carry costs of the property. Provided asset management and disposition services for a partially completed subdivision in a remote location along a major river. The rural nature of the property and the partially completed residential lots along with the economic recession made selling this property particularly difficult. There was zero interest in the property as a residential investment. The property had previously been used for farming, but the irrigation system had been removed when construction began thus making the property obsolete for both agricultural and residential. Solved the dilemma by renting irrigation equipment that tied into the improvement structure of the subdivision and sold the property as farm land with residential upside due to the existing infrastructure and entitlements. The result was a sale price that was significantly higher than typical farm ground and certainly much higher than any previous interest. Negotiated the renewal of a single tenant NNN lease at a rate that was more than $10/sf higher than the most recent comparable lease rates. Managed the disposition which resulted in a sale price that exceeded the listing broker projections by nearly 50%. As part of a lease analysis, discovered landlord was paying certain charges that should have been the responsibility of the tenant. The owner collected on the mistake resulting in an additional $7,300. Negotiated a new lease on behalf of landlord which resulted in a 240% increase over the previous year. Provided due diligence services for a large tract of land. Discovered several issues during the due diligence analysis that drastically lowered the buyers projected rate of return. Helped buyer use this information to negotiate a new price which was $3,500,000 lower than the previous price. Appealed property tax values for 15+ car dealerships resulting in improved cash flows of more than $100,000. Contact MaxVal Real Estate to see if we can help you achieve similar savings for your real estate!